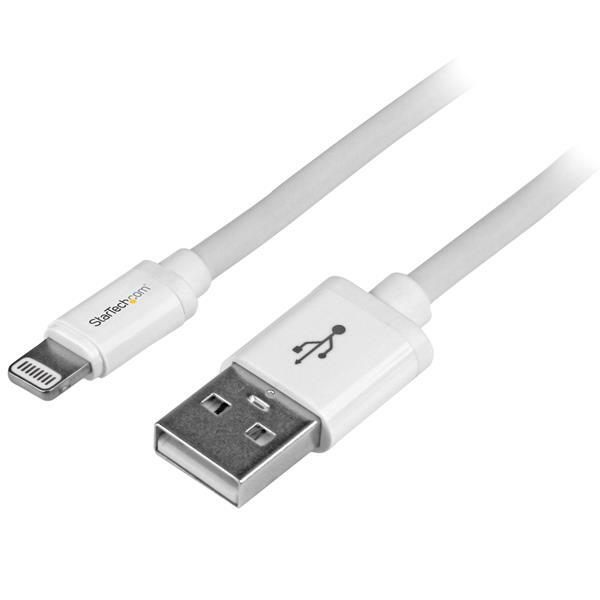 The USBLT2MW 2m White Lightning to USB Cable for iPhone, iPod, and iPad provides a reliable solution for charging and syncing your newer generation Apple® mobile devices with your PC or Mac® computer, through an available USB port. 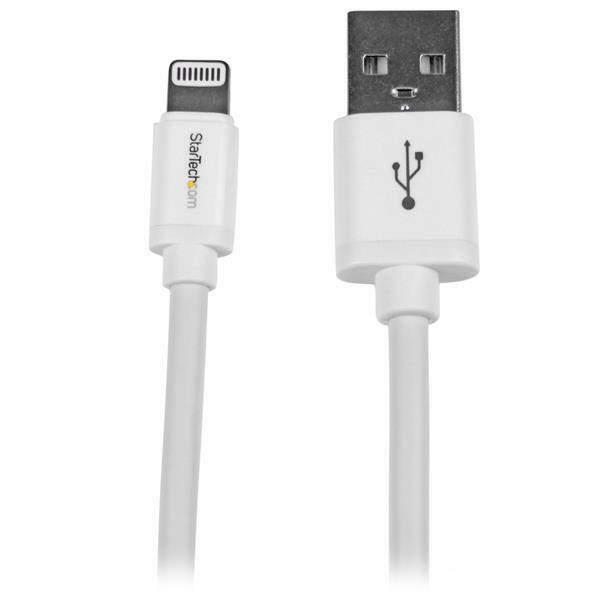 This longer Lightning USB cable offers 2-meters in cable length to overcome distance restrictions while still providing full charging power. 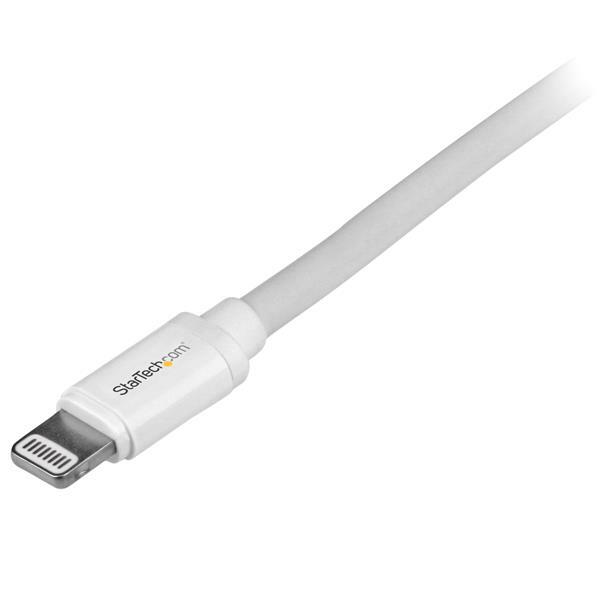 Plus, the reversible 8-pin Lightning connector can be plugged into your iOS-enabled device with either side facing up, meaning there is no wrong way of inserting the cable into the device. 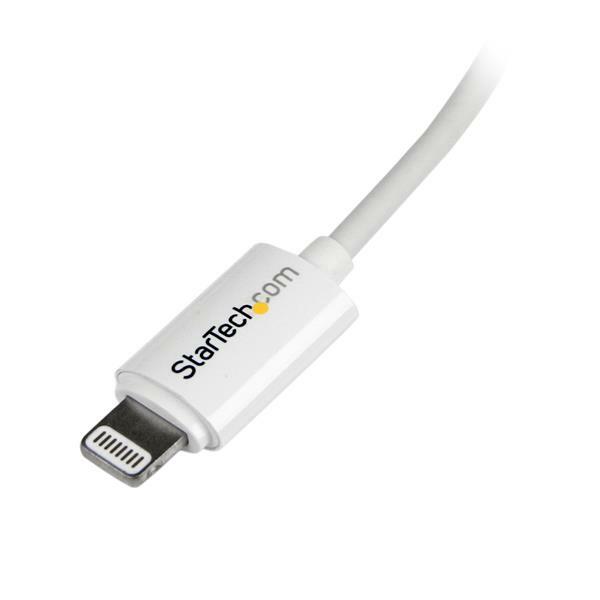 This durable cable is Apple MFi certified and backed by StarTech.com's 2-year Warranty to ensure dependable performance. Use the mobile device, USB controller card, and Lightning cable in another setup to see if the problem is with the components or the setup. Use a different mobile device, USB port, and Lightning cable in your setup to see if the problem persists. Ideally, you should test a component that you know works in another setup. Make sure that the cable is firmly inserted in the USB and Lightning ports. If you are using a USB charging adapter, verify that the USB output can power other USB devices.